Mohammed Elshamy is an Anadolu Agency photojournalist covering the Ebola outbreak in West Africa. Through his work in Sierra Leone, he was able to meet a 38-year-old mother of four who survived Ebola, named Rigiatu Kamara. Kamara lives in a very poor area with no services like clean water or electricity. 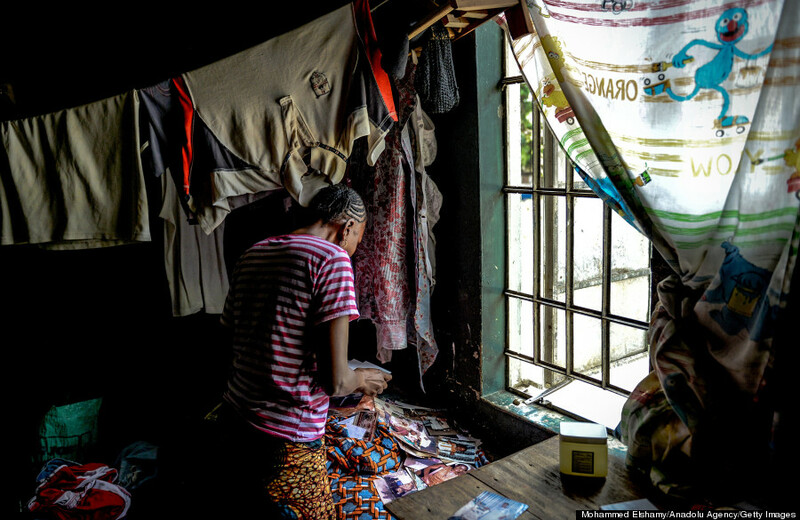 Below, Elshamy shares Kamara’s story of being infected with Ebola — and surviving — with HuffPost. “One day, I felt I had a serious fever. I was cooking at the evening, with plans to catch up with one of my friends that I promised I would take her to church, but I couldn’t go due to the fever,” she remembered. “I called my man [husband] and asked him to cook in my place because I was sick. I took water with Panadol, then I went to the toilet as I also found I had diarrhea. And it all turns bad; my head and throat ached, my legs felt weak, and my back hurt so bad,” Kamara recounted. “My body was very weak; I heard on the radio that if anyone has symptoms like fever and diarrhea, they should go to the hospital and report,” she added. A day later, the couple went to a hospital for testing, where a nurse asked Kamara if she had recently come into contact with any sick people. “I said ‘maybe,’ so they took a blood sample and said I should come [back the] following day,” she said. Kamara remembers breathing a sigh of relief when the doctors told her that she had tested negative for Ebola. “I was happy, but I was still feeling weak,” she said. Her relief, however, didn’t last long. Two days later, two men from the hospital came to Kamara’s house to break the news. Kamara looks at photos from her youth in Kenema, Sierra Leone, on Aug. 26. Talking about her feelings when she was infected, she said she felt there was no mercy in the hospital. Kamara was admitted to a ward packed with Ebola patients, where only a few people were available to help with treatment. “People died on a daily basis when I was in the ward. For days, we weren’t served food; there was no mercy. I just thank God I survived,” Kamara said. “Whatever I ate was later vomited; they don’t serve milk, nothing … My husband brought medicine, food and Maltina [a local beverage],” she added. After five days of treatment, Kamara tested negative for Ebola and the hospital said she could be discharged, although she was still suffering diarrhea. A doctor at the hospital asked her to stay for a few more days. Five days later, the diarrhea was gone and she was discharged with an official certificate giving her a clean bill of health. However, she returned home only to get the cold shoulder from her neighbors, who feared they might catch the disease from the former patient. 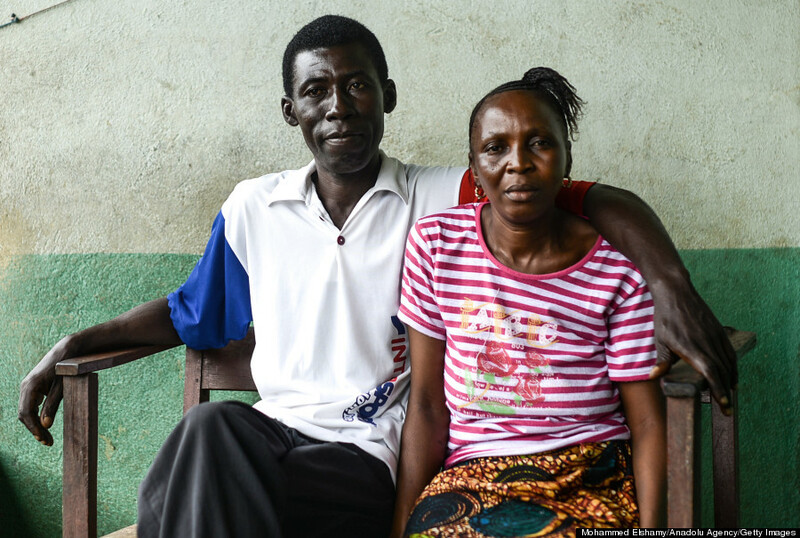 “One of my friends stopped talking to me because I was an Ebola patient,” Kamara said. 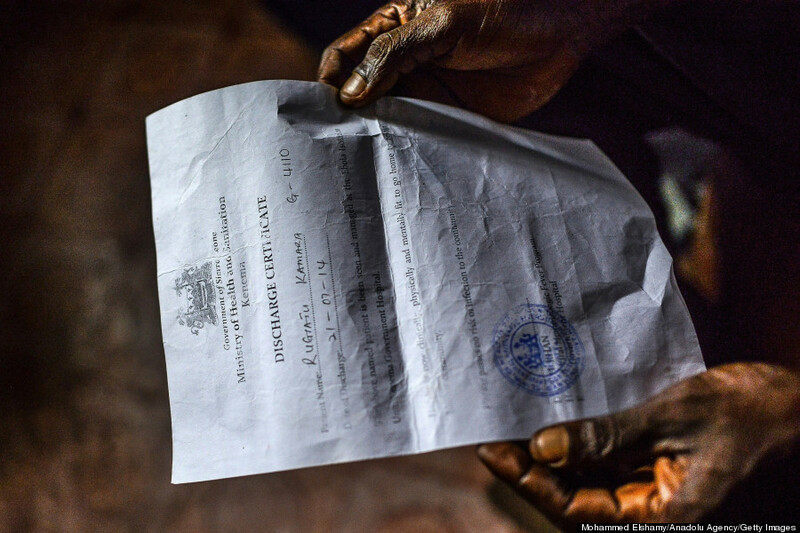 She is now helpless and jobless as many in the community continue to avoid her — despite her certificate. 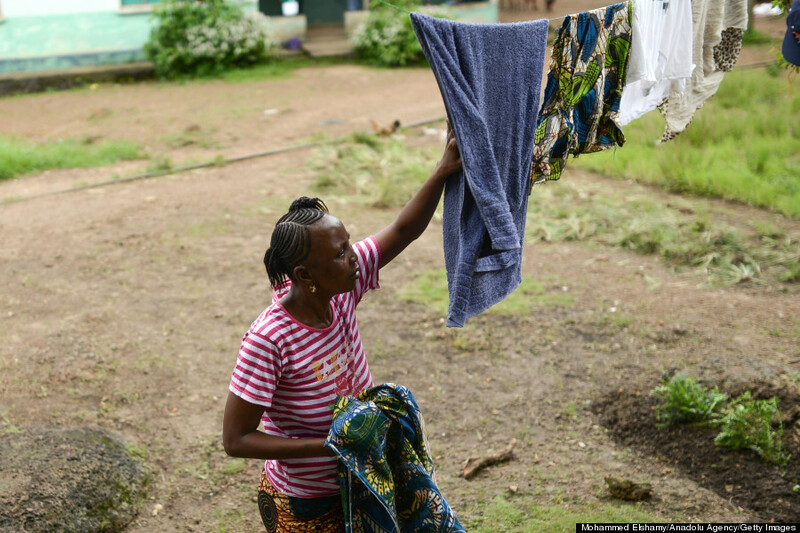 Kamara picks up a towel from a washing line in Kenema, Sierra Leone, on Aug. 26. “I used to be a seller, but now it’s all gone. School will start, but I don’t have the money to pay the school fees for my kids. I’m bankrupt,” she said. This piece has been edited for length and clarity. Additional research by Damon Dahlen. This story is part of “Inside an Outbreak,” a HuffPost series taking you to the front lines of the world’s worst Ebola outbreak. For more information on how you can help, visit HuffPost Impact.